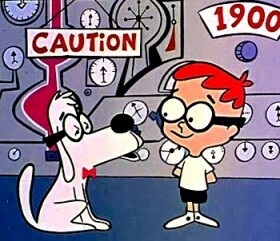 No real excuses for not posting to the Time Machine for so long, except to say that my attentions wandered. But as there’s been a clamor for the Fitzwater lineage in black and white, here you go at long last. Attached is a pdf that is probably much more than you ever wanted to know about the Fitzwaters (and associated Lukens, Lightkeps, Halloways, Niblocks, etc. and at least one signer of the Declaration of Independence). There are some amazing stories in here from Europe, the Wild West — and good old Philadelphia, of course. A short cut from Thomas Fitzwater directly down to me and mine looks like this (see at left — note: poor Mary Cheney died in transit from England to Philadelphia). Then to my grandparents, Paul Mergner White (1905-2002) and Minnie Clair Diefenderfer (1908-2003). To my mother and father, to me, and to my sons. They are the g-g-g-g-g-g-g-g-g-grandsons of Thomas Fitzwater, who tipped a cup with William Penn aboard the good ship “Welcome” in 1682. Pretty cool, huh? My grandfather was the first in that long line to leave Pennsylvania to live elsewhere. (There’s a magnet under the soil here, I suspect.) And even then, he ended up almost coming back — retiring to the Jersey Shore, which, as we all know, is simply an extension of Philadelphia on summer weekends. You can download the pdf of the genealogy and read it all for yourself. My dad has dug up lots of little anecdotes from places like the Ambler Gazette, and family letters and ancestry forums. Fair warning — it’s 72 pages. The remark about “seeing our President” amused me in this election year. 1912 was also an election year — quite a remarkable one, as it happens — with a rare choice of four politicians in all. Incumbent President William Howard Taft was the Republican Party candidate. After former President Theodore Roosevelt failed to receive the Republican nomination, he called his own convention and created the Progressive Party (nicknamed the “Bull Moose Party”). 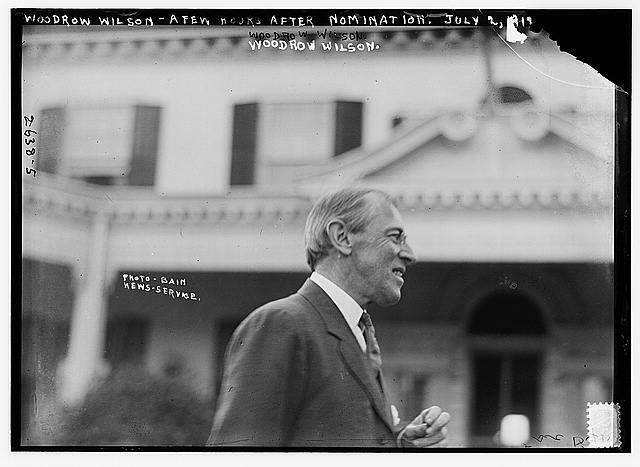 Democrat Woodrow Wilson won the highly contested Democratic Party nomination. And Eugene V. Debs was the nominee of the Socialist Party of America. No pop quiz here. Woodrow Wilson won. Wilson became the only elected president from the Democratic Party between 1892 and 1932. He was the second of only two Democrats to be elected president between 1860 and 1932. This was the last election in which a candidate who was not a Republican or Democrat came second in either the popular vote or the Electoral College. 1912 was the first election in which all 48 of the contiguous United States participated. Fascinating blog. My mother is a Fitzwater and I have just begun my voyage tracing the family roots. Our lineage breaks apart at George Fitzwater, as mine follows from his brother William. Keep up the great work! I follow from William too. He is my great great great great grandfather. Who is next under him? I follow Thomas S. and then Thomas Clark and then Adam Clark on down. I’m a 10th generation descendant from Thomas Fitzwater I (Thomas I, Thomas II, Thomas III, William “Soldier Bill” Fitzwater, William Fitzwater, Philip Brenner Fitzwater, Harrison Fitzwater, Casper Fitzwater, Melvin Fitzwater, Vera Fitzwater Shockey (myself). Each year, on the first Saturday in August, we hold a Fitzwater Reunion in Broadway, Va. In 2006, I traveled with some Fitzwater family members to Fitzwatertown, where we visited the Fitzwater Cemetary (with the help of Dave Potter), the mill, blacksmith shop, and lime kilns (now a golf course). We also visited Emlen House, once General Washington’s headquarters, and once owned by a Fitzwater. Our last stop was Philadelphia, where we visited Signer’s Hall, to pay tribute to George Clymer, a Fitzwater cousin. Someday, I’d like to return to further explore my Fitzwater roots. I notice on page 22 of your geneology pdf, you only have one child listed for William Fitzwater and Elizabeth Drais (Abraham House Fitzwater). They had many other children: Elizabeth “Betty,” James William, Catherine “Katie”, Jesse, John, Mary “Polly Ann”, William Harvey, a female (unknown name), and Phillip Brenner (my great-great grandfather).